I need help regarding my start to Gmat quest. Hi all. 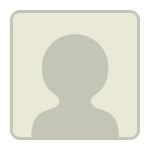 I am Indian male with 2 Yrs of working experience. I am looking forward to prepare for gmat as I wish to move ahead in my career and do MBA from top B schools in Canada. I have studied quant and verbal 3 yrs back thoroughly but now after such a long break I have gone out of practice and forgetting few concepts too and that's the reason I am not getting many questions right both with verbal and quant in gmat forum questionnaires. I wish to get guidance regarding how should I plan my Gmat preparation and which online coaching content will be helpful to me. Thanks for your time and looking forward for some guidance. 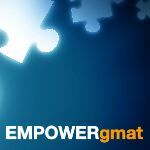 If it's been about 3 years since you were in "study mode" for the GMAT, then it would be a good idea for you to take a FULL-LENGTH practice CAT Test; you can take 2 for free at www.mba.com (and they come with some additional practice materials). That score will give us a good sense of your current strengths and weaknesses and will help provide a basis for comparison as you continue to study. A FULL CAT takes about 3.5 hours to complete, so make sure that you've set aside enough time to take it in one sitting. Once you have those scores, you should report back here and we can come up with a study plan. Best place to start will be by taking a diagnostic test. You may choose to reserve the MBA.com tests for a later time and instead take one of the free tests offered by sites like Veritas prep, Manhattan, etc. After the test, you'll have a good idea of your strong and weak areas and work accordingly. If you plan to invest in a course, make sure to do so after using it on a trial period. Different courses suit different people. I would like to thank you first for your reply on my query. 1.My Goal score is 720. 2.I am thinking of giving my Gmat exam in July so I have 3 months to study. 3.I will be applying for the batches starting in 2020. With a planned Test Date in July, you have about 3-4 months of potential study time - which is great. Until we have a better sense of your current 'ability level' though, we won't know how much overall work you'll need to do - so taking that practice CAT Test sometime soon would be a good idea. Based on that result, we can plan out an efficient approach for your next few months of study. Welcome to GMATCLUB. You should study for around 3-4 months to prepare for your GMAT. You should start by taking a GMAT Mock once. You can then now know your weaknesses and cab work on them. If you are willing to study dedicatedly for that period, you are sure to achieve your goal. I think you need to solidify you base and adopt a proper technique to answer the questions. I believe you may benefit from taking a GMATPREP course. If you are willing, there are some great GMAT prep companies that can help you with your preparation. https://magoosh.com/gmat/2012/3-month-g ... beginners/ . You will find it very helpful as it gives out a study plan as per your needs. Hi Aseem, in which context did you study quant and verbal? If this was not for GMAT, you might find significant differences in GMAT (especially for Verbal). Thanks for your reply. I understand your point about level of verbal and that is the reason looking I am looking for specific gmat exam oriented questionaaries for verbal. It will be thankful of you to recommend any source. Since it has been 3 years since you last studied for the GMAT, I’ll provide advice as if you are starting the GMAT from scratch. Thus, you should first take an official GMAT practice exam. Your experience taking that test will give you a good idea of what to expect on the GMAT, and the results will serve as a baseline score. After completing your initial practice test, you will need to devise a solid preparation plan that allows you to learn linearly, such that you can slowly build mastery of one GMAT topic prior to moving on to the next. Within each topic, begin with the foundations and progress toward more advanced concepts. For example, if you are learning about Number Properties, you should develop as much conceptual knowledge about Number Properties as possible. In other words, your goal will be to completely understand properties of factorials, perfect squares, quadratic patterns, LCM, GCF, units digit patterns, divisibility, and remainders, to name a few concepts. After carefully reviewing the conceptual underpinnings of how to answer Number Properties questions, practice by answering 50 or more questions just from Number Properties. When you do dozens of questions of the same type one after the other, you learn just what it takes to get questions of that type correct consistently. If you aren't getting close to 90 percent of questions of a certain type correct, go back and seek to better understand how that type of question works, and then do more questions of that type until you get to around at least 90 percent accuracy in your training. If you get 100 percent of some sets correct, even better. Number Properties is just one example; follow this process for all quant topics. I am looking for specific gmat exam oriented questionaaries for verbal. Hi Aseem, merely questionnaires will not help. You need to do more structured preparation, in terms of first going through a GMAT specific material (text-books/course) to build upon the concepts, and only then working on the questionnaires, because questionnaires will merely be the application of the concepts that you learn. good question. You are at an important crossroads of sorts - you have already studied all of the fundamentals, and now it is time to improve you test taking strategies. The first thing you need to do is re-study all of the material. No excuses, it's been a long time. you'll need to review everything. After that, it's time to improve. 1. Focus extra practice time on your areas of weakness – What matters is getting to the correct solution, fast: the problem is that just solving lots of questions (with practice tests or coaching) is not sufficient in terms of improving mental flexibility. Actually, the opposite is true. Solving thousands of questions without improving your mind’s flexibility will only cement the wrong thinking patterns. 2. Train yourself to find YOUR best solution approach to answering GMAT questions – The GMAT measures your ability to flex your mind. There is often more than one way to get to the correct answer - the trick is figuring out which is that way that is FASTEST for you. 3. Researching your errors is even more important than solving new questions – Which tools am I using betters than others? What are the main reasons for my mistakes? Which other tools should I learn to apply better? And when it comes to verbal questions, it is also crucial to analyze the answers: why is the correct answer correct? What is wrong with the wrong answers? That’s my answer in a nutshell, but I’d be happy to go further into it with you and answer any follow-up questions you may have. If you tell me what your strengths and weaknesses are, I can try to give you more specific advice. Talk to me here (in the chat bubble in the bottom-right corner) - ask for David and I will personally answer. Waiting to hear from you!